Taking a bus to Pattaya from Suvarnabhumi Airport is a cheaper alternative to using a taxi and in many ways can be safer. 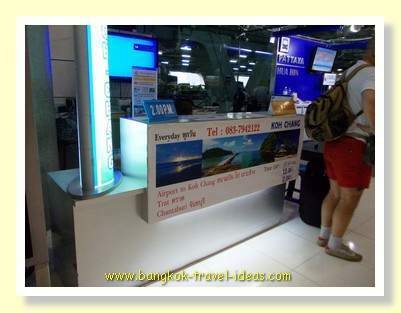 If you are on a budget then you can travel by bus from Bangkok Airport to Pattaya for 250 baht or even less. Have a read through the various transport options on offer from Suvarnabhumi Airport to Pattaya and to Hua Hin and see which suits your itinerary and budget. The total travel time is around two hours to reach Pattaya from Bangkok Airport and there are two main bus options to choose from. 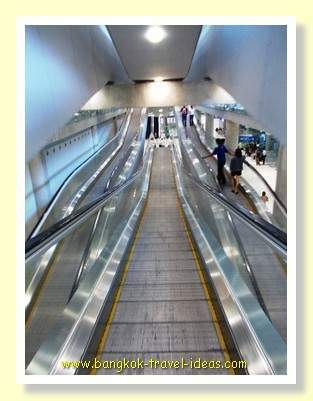 Both of these options depart from Level 1 in Suvarnabhumi Airport, so when you arrive you should go out via Customs on Level 2 and then take the moving walkway or the lift down to the first level and look for Gate No. 8 which is located near to the Magic Food Point food hall. If you are familiar with where the taxi stand is, then Gate No. 8 is at the far end of that level. The Bangkok Airport Bus to Pattaya operates 7 days a week and leaves the Suvarnabhumi Airport terminal every hour from 7:00 am to 10:00 pm. There are now two earlier buses running at 5:30 am and 6:30 am for those that land early in the morning. Tickets can be purchased at the Pattaya counter at Gate No. 8 on the First Level of the Airport and the journey takes approximately two hours. 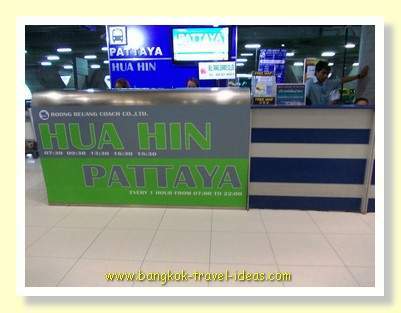 Currently you are not able to pre-book your ticket to Pattaya and have to buy them directly from the kiosk. the office at Thappraya Road. From the drop off points you will be able to take a songthaew to your hotel. For passenger’s safety, the 21:00 and 22:00 bus will go to the North Pattaya bus station only. The last two buses of the day will go directly to the Pattaya Bus Terminal on North Pattaya Road. For the return journey to Suvarnabhumi Airport, the bus runs from 7:00 am to 9:00 pm and the bus can be taken at their office on Thappraya Road (north of Thepprasit Road opposite Pan Pan Restaurant). Tickets can be purchased in advance or on the day of travel at the office. If the ticket is purchased in advance then ensure you board the bus 15 minutes prior to departure time or your seat may be reallocated. 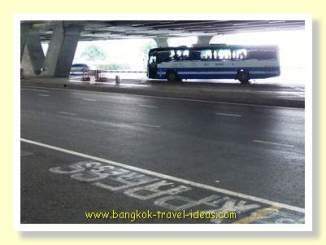 The bus from Pattaya to Bangkok Airport will drop you off at the Departure Terminal Level 4. The Bangkok to Pattaya bus fare is 120 baht and the same for the return journey from Pattaya to Bangkok. More details can be obtained directly from the official website of the Rong Reuang Coach Company. It is quite confusing to know exactly what service is being offered, but it seems that you can pay 120 baht and take the chance that there are no seats on the bus when you arrive at the booking desk, or you can pay 280 baht and pre-book your seat on-line. Bell Travel Service provides a Bangkok Airport to Pattaya online booking option to pre-book your bus journey to Pattaya and offers a door to door service in both directions. Buses to Pattaya operate 7 days a week and leave the Suvarnabhumi Airport terminal every two hours from 8:00 am to 6:00 pm. Tickets for the Bangkok Airport bus to Pattaya are only available by pre-booking on their website, preferably 3 days before departure. All buses will drop off at the Pattaya Bus Station and then you will be transported directly to your hotel in a van. The travel time estimation is two hours, depending upon the traffic. The return journey on the bus from Pattaya to Bangkok Airport also runs every two hours from 6:00 am to 7:00 pm and can also include a pick up from your hotel in Pattaya. 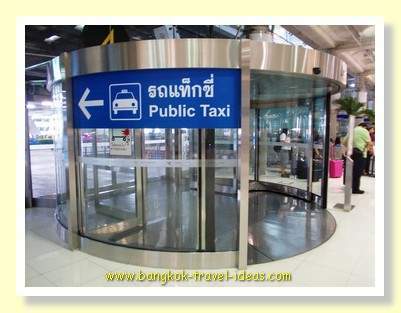 The fare in both directions is 280 baht if booked on the Bell Travel website. Bell is the official website and sole provider of advance bookings for Roong Reuang Coach (RRC) Co., Ltd. So you can see that there are slight differences in the services and prices provided for the bus to Pattaya from Suvarnabhumi Airport. If you need to call and check prices you can phone Bell Travel Service on 084-427-4606. For those arriving on late flights to Suvarnabhumi Airport with limited funds, then here are some good places to sleep in the airport, whilst you wait for the booking desk to open in the morning. Seeing as you have found your way this far then you should also know that the bus to Koh Chang leaves from this desk, as does the bus to Hua Hin. I don't have a recent Koh Chang bus price, so if you need to call and confirm times and prices you can phone 083-794-2122. In addition the bus to Hua Hin departs at 7:30 am, 9:30 am, 11:30 pm, 1:30 pm, 4:30 pm, 7:30 pm and it is 305 baht. There is some more information on the transfers from Bangkok Airport to Hua Hin and Hua Hin to Pattaya at this link to the Rong Reuang Bus Company. 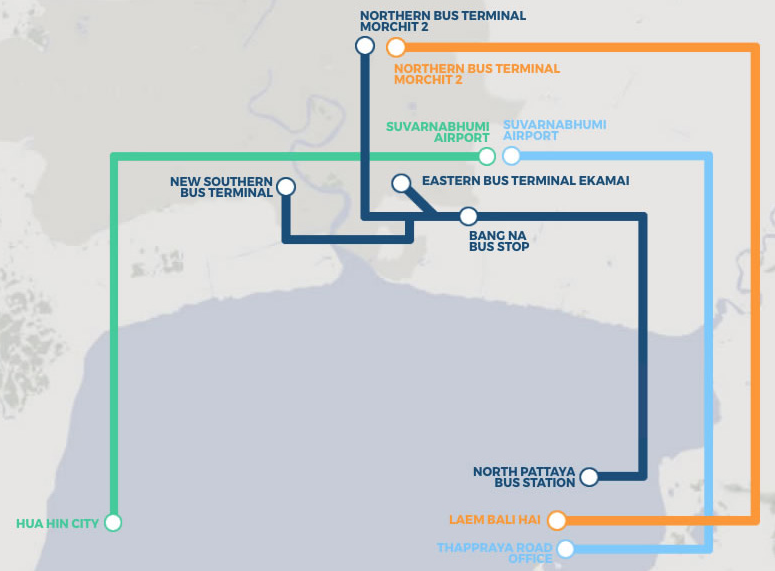 Here is a diagrammatic overview of the Rong Reuang bus transfers out of Bangkok. 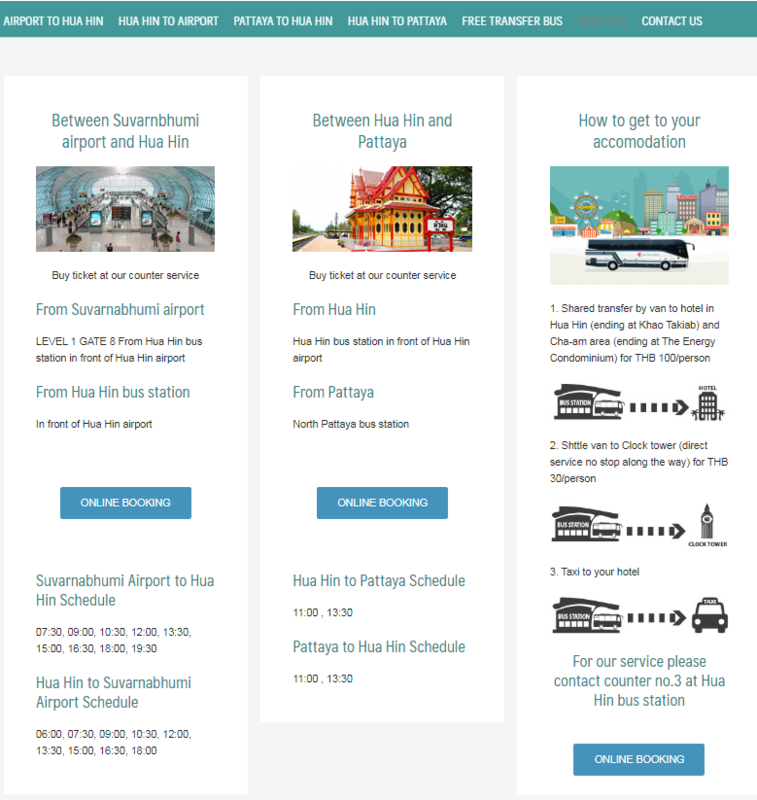 If you follow the link to the Roong Reuang website then you will get all the options of getting to your Hua Hin hotel. Often trips to Pattaya are planned at short notice and perhaps you need to book a cheap hotel in Pattaya to cover the first few days of your trip. Once you have arrived, then choose the area of Pattaya that you want to stay, from the links on the top right. These will open a link to the Agoda website. The next step is to sort on 1 Star to 5 Star using the Agoda drop down search box and all the cheap places will come to the top. There are many guest friendly hotels in Pattaya for less than 600 baht per night. Maybe you are interested in things to do in Pattaya then check out my experience when I went from Koh Chang to Pattaya. In three days I visited Walking Street a couple of times, Koh Lan on the Ferry and the Nong Nooch gardens. If you want a different perspective then check out my visit to the Centara Grand Beach Resort at Naklua at the Northern end of Pattaya, where we visited Pattaya Floating Market and some other important stuff that eludes me for the moment. The Naklua end of town is quieter if you are taking the family and the Centara Grand Beach Resort is great if you have small children. I wouldn't classify it as a cheap hotel though.